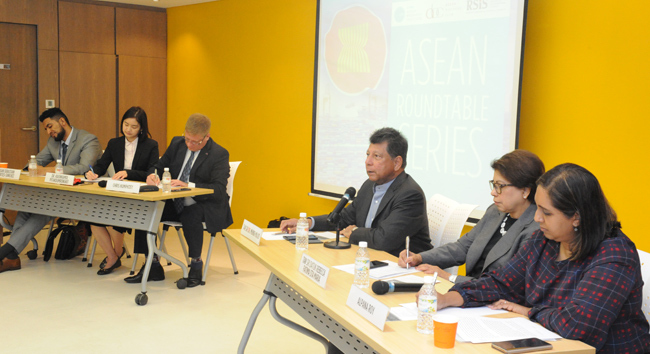 CIMB ASEAN Research Institute, in collaboration with the S. Rajaratnam School of International Studies (RSIS), Nanyang Technological University and ASEAN Business Club, held a roundtable discussion on 2nd April 2019, with the theme Tackling Non-Tariff Barriers in the New Trade Order. Speakers included Juan Sebastian Cortes-Sanchez, Trade Policy Analyst of Asian Trade Centre; Dr. Kaewkamol Pitakdumrongkit, Deputy Head and Assistant Professor, Centre for Multilateralism Studies, S. Rajaratnam School of International Studies (RSIS) of Nanyang Technological University; Chris Humphrey, Executive Director of EU-ASEAN Business Council; Tan Sri Dr. Munir Majid, Chairman of CIMB ASEAN Research Institute (CARI) and President of the ASEAN Business Club; Tan Sri Dr. Rebecca Fatima Sta Maria, Executive Director of APEC Secretariat; Alpana Roy, Director, ASEAN (Trade Division), Ministry of Trade and Industry, Singapore; and H.E. 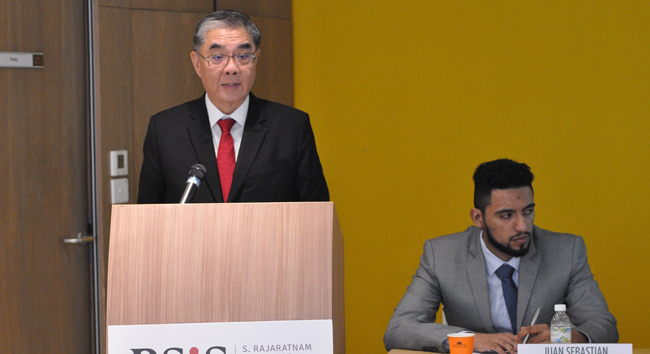 Ong Keng Yong, Executive Deputy Chairman of S. Rajaratnam School of International Studies. 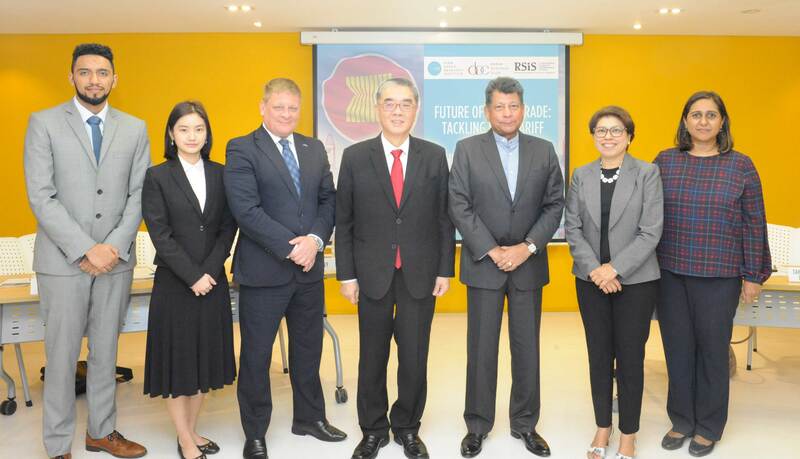 Ambassador Ong Keng Yong is Executive Deputy Chairman of the S. Rajaratnam School of International Studies at the Nanyang Technological University in Singapore since November 2014. Concurrently, he is Ambassador-at-Large in the Singapore Ministry of Foreign Affairs and Singapore’s non-resident High Commissioner to Pakistan and non-resident Ambassador to Iran. 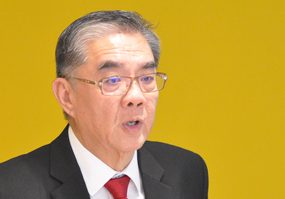 He was High Commissioner of Singapore to Malaysia from July 2011 to October 2014. Mr Ong was Secretary-General of ASEAN (Association of Southeast Asian Nations), based in Jakarta, Indonesia from January 2003 to January 2008. Ms Alpana Roy oversees the ASEAN Division in the Ministry of Trade and Industry (MTI) and is Singapore’s Senior Economic Official to ASEAN. Prior to her appointment as Director (ASEAN), Alpana was Deputy Director for ASEAN, Southeast Asia, and Counsellor (Economic) at the Embassy of Singapore in Washington D C. She has been responsible for advancing Singapore’s economic relations with the Americas, Southeast Asia, ASEAN and the Asia Pacific Economic Cooperation (APEC). Alpana has also been involved in the negotiation, implementation and review of Singapore’s Free Trade Agreement (FTAs) with the United States, Panama, Peru, Costa Rica and the TransPacific Strategic Economic Partnership (P4). In ASEAN, she oversees internal integration issues, ASEAN’s ties with external partners and was the Chief Negotiator for ASEAN’s FTAs with Hong Kong and Japan, as well as the upgrade of the ASEAN-China FTA. Alpana is also the Deputy Chief Negotiator for the Regional Comprehensive Economic Partnership Alpana’s past work experience includes heading the Emerging Markets team in Singapore’s national trade promotion agency (International Enterprise Singapore, now known as Enterprise Singapore). She also served as a Foreign Service official at the Ministry of Foreign Affairs. Alpana was awarded the Public Administration Medal (Bronze) National Day Award in 2018. 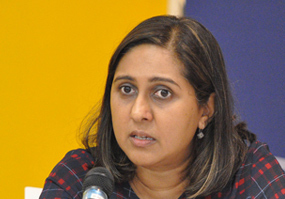 Alpana obtained her degree in Political Science (Honours) from the National University of Singapore in 1995 and her Masters in International Public Policy from the Johns Hopkins University Paul H Nitze School of Advanced International Studies in 2013. She is married with one child. 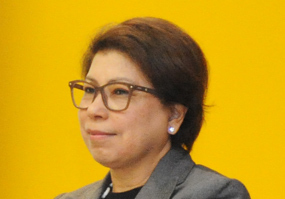 Tan Sri Datuk Rebecca Fatima Sta Maria is the executive director of the APEC Secretariat based in Singapore, which serves as advisory body, implementation arm and custodian of institutional memory for the 21 member economies that make up the APEC forum. 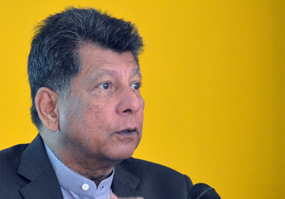 Dr Sta Maria was a top-level Malaysian civil servant, trade negotiator and academic. She was the Secretary-General of the Malaysian Ministry of International Trade and Investment from 2012 to 2016, where she oversaw the formulation of Malaysia’s international trade policies and positions and often took the lead in their implementation as chief negotiator for bilateral and regional free trade agreements such as the Trans-Pacific Partnership and the Regional Comprehensive Economic Partnership. 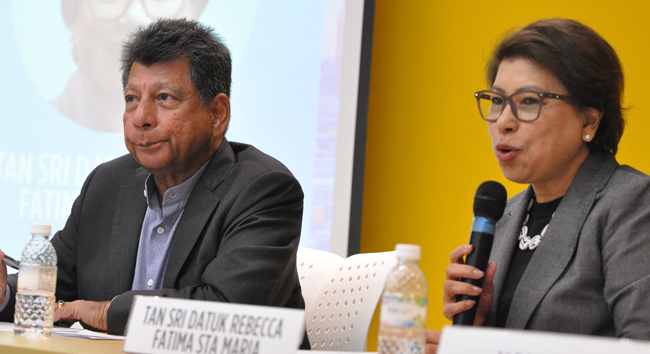 Dr Sta Maria played an integral role in Malaysia’s participation in multilateral forums such as APEC, where she often represented her economy during the APEC Ministers’ Responsible for Trade Meetings and the Small and Medium Enterprises Ministerial Meetings. 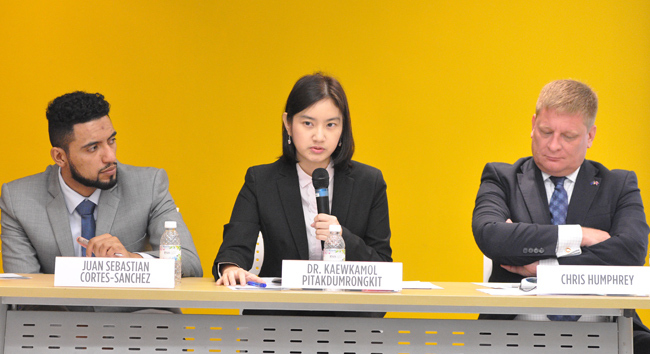 In the Association of Southeast Asian Nations (ASEAN), Dr Sta Maria chaired the body that drafted the ASEAN Economic Community 2015 Blueprint as well as the ASEAN Economic Community 2025 Blueprint. An accomplished academic and writer, Dr Sta Maria’s scholarship has been recognized through awards from the American Academy of Human Resource Development and from the University of Georgia. In 2017, she authored a book about her personal slice of Malaysian heritage and cuisine, called The Smell of Home. Before 2010, the position of executive director of the APEC Secretariat rotated yearly among officials assigned by the incumbent host economy. Starting in 2010, the appointment was opened to applications from highly qualified professionals who will when appointed, lead the Secretariat in fixed three-year terms with an option to renew. 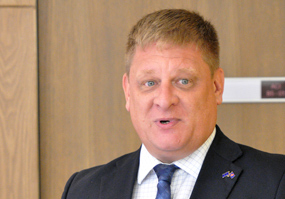 Chris Humphrey is the executive director of Singapore-based EU-ASEAN Business Council; a key business association that advocates for the interests of EU businesses operating in ASEAN. 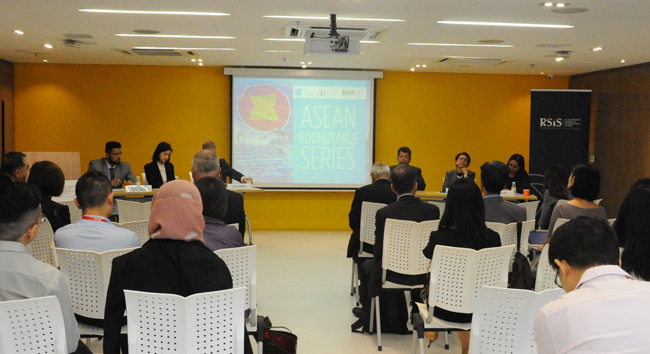 It is endorsed by the European Commission and recognised by the ASEAN Secretariat. Chris began his varied professional career as a UK civil servant where, amongst other things, he was Assistant Private Secretary to a Minister and an Air Services Trade Negotiator covering the Asia Pacific region. After leaving the civil service, Chris moved to the private sector working initially in the government and external relations teams at two British airlines in the UK, before moving to Shanghai, China with Virgin Atlantic where he headed up the airline’s China operation and oversaw the rapid expansion of their business in China. Whilst in Shanghai, Chris also sat on the Executive Committee of the British Chamber of Commerce. Chris then joined a UK based security and defence group where he led their Asia Pacific team for over five years and was instrumental in them getting contracts with the Japanese and Singapore governments and also with SOEs in China. More recently Chris has been acting as a consultant assisting start-ups in Asia with their business and corporate development before joining the EU-ASEAN Business Council in June 2014. With over 20 years of experience of either working for or dealing with governments and regulatory authorities, Chris is available to provide key insights, lead discussions or comment on topics including ASEAN integration, European business presence in SEA, Infrastructure financing, EU-ASEAN trade relations and EU economic and political developments. Chris is a regular on the ASEAN conference circuit regularly appearing at conferences and seminars covering ASEAN’s integration agenda and trade and investment issues. He has also appeared on the BBC’s Asia Business Report; CNBC’s Asia Street Times; Channel News Asia’s Conversation With; 938Live Radio News; and Channel News Asia news reports. 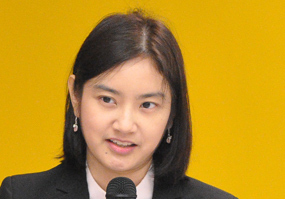 Dr. Kaewkamol “Karen” Pitakdumrongkit is a Deputy Head and Assistant Professor at the Centre for Multilateralism Studies, at S. Rajaratnam School of International Studies (RSIS) of Nanyang Technological University, Singapore. She completed her MA and PhD in Political Science at the University of California, Santa Barbara, U.S.A. Her research interests include international economic negotiation, Indo-Pacific governance and integration, regional-global economic governance dynamics, ASEAN Economic Community, and ASEAN’s external relations (ASEAN-Plus frameworks). She has published in various outlets such as Asia-Pacific Bulletin, Australian Journal of International Affairs, Australian Outlook, The Diplomat, East Asia Forum, Eurasia Review, Global Asia, The International Relations of the Asia-Pacific, The Pacific Review, and The Singapore Economic Review. Her media interviews include Bangkok Post, Bloomberg, Business Times, Channel News Asia, CNBC Asia-Pacific, New Straits Times, The Nation, The Strait Times, South China Morning Post, and Xinhua. 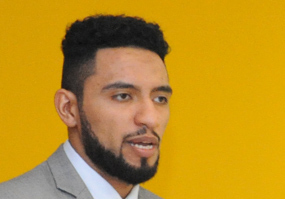 Juan Sebastian Cortes-Sanchez is working as a Trade Policy Analyst at the Asian Trade Centre. His areas of focus include the ASEAN Economic Community (AEC), Trans Pacific Partnership (TPP)—focus on Latin American members—the Regional Comprehensive Economic Partnership (RCEP), the Pacific Alliance (PA) and the development of regulatory frameworks within Next Generation Trade issues such as Cybersecurity and Data Privacy. Sebastian obtained a Honours Bachelors Degree in Philosophy, Politics and Economics from Yale-NUS College – Singapore. Prior to ATC, Sebastian had experience conducting due diligence and investigative research assignments at BlackPeak Group and supporting business development efforts at the Latin American Chamber of Commerce. He is fluent in English and Spanish.